Help Support this Gold Star Mother's Cause. Gold Star Legacy: Help a Gold Star Mother name a local park after her Marine. Our outreach programs continue to be the driving force for the organization. While many of the reasons our outreach programs exist are tragic, we wouldn't be able to accomplish much of the work we do without them. 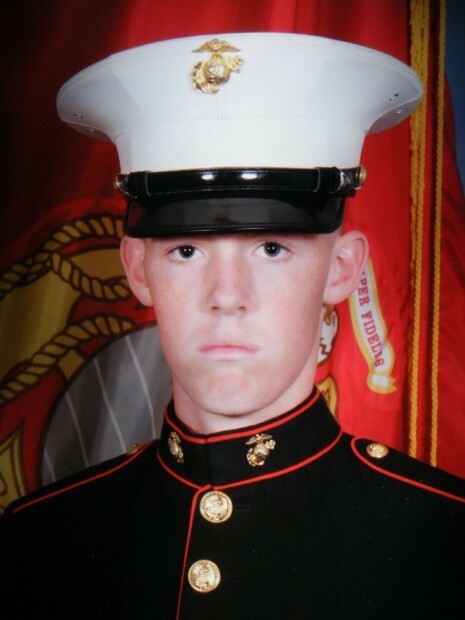 In our first article you can read about how we connected with a Gold Star Mother who lost her Marine son in a training accident. 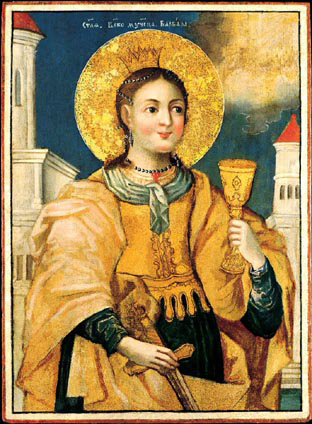 Also in this newsletter, you can read about our featured volunteer and TMP participant, learn more about amazon smile, and read about St. Barbara, Patron Saint of Artillery. On July 10, 2017 in Mississippi a KC-130T Hercules plane crash occurred, taking the lives of 14 Marines and one Navy Corpsman. 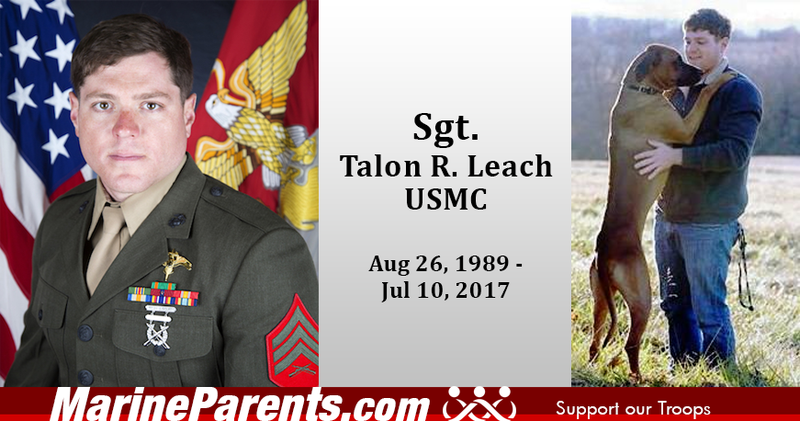 Among the 15 that perished was Sergeant Talon Leach, whose mother resides in Fulton, MO, just down the road from the corporate office of MarineParents.com. One day she came into our office looking for supplies, then she informed us who she was. She was seeking support, of course, and wanted our assurance that his memory and his sacrifice would never be forgotten. She asked us to make shirts for the memorial ceremony for her son and we were able to do that for 20+ loved ones. 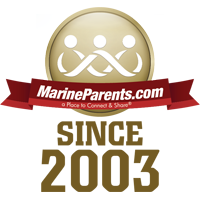 MarineParents is committed to supporting Marines and their family. Click here to read about connecting with the mother of Sgt. Talon Leach. Sandra is a Facebook volunteer in the Delta Company Parris Island group. Sandra is married and has 3 children, the youngest of which is her Marine. 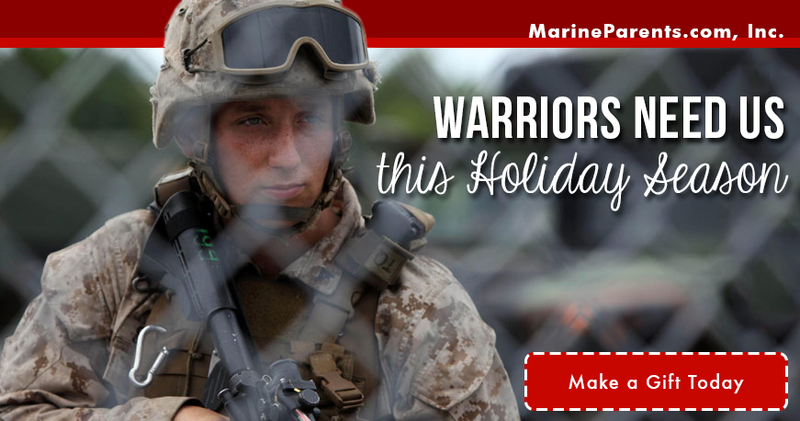 She looks forward to volunteering with Marine Parents and working with all the families of Delta Company. 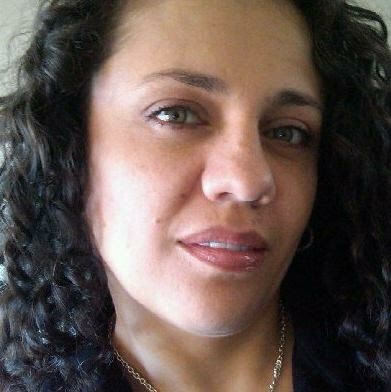 Our featured TMP participant this week is Machelle Ketterhagen. Machelle ran her first full marathon last year and ran the MCM10K this past October. 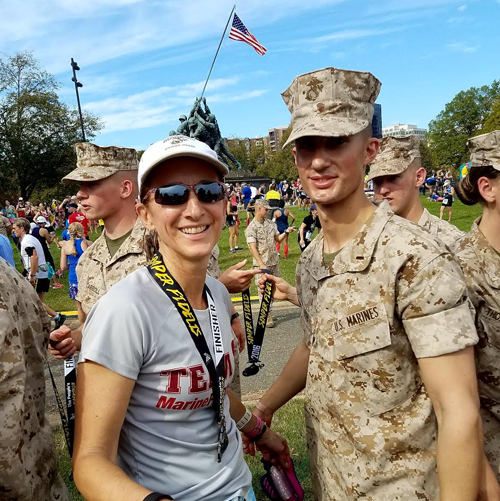 Machelle became a Marine Mom in 2015 and she also volunteers at the USO at O'Hare International Airport in Chicago. Artillerymen are a peculiar breed. Part grunt, part Motor T (transport), part communications, and part deaf, they have a long lineage dating back to the Roman legions in 399 BC. Despite the years that separate the earliest artillerymen and today's modern warriors, for a number of centuries they've all shared one thing in common -- the veneration of Saint Barbara, the patron saint of artillery.